Goal setting always sounds so easy, doesn't it? Set a goal and then go and do it. What could be easier? So, why doesn't it work like that in real life? 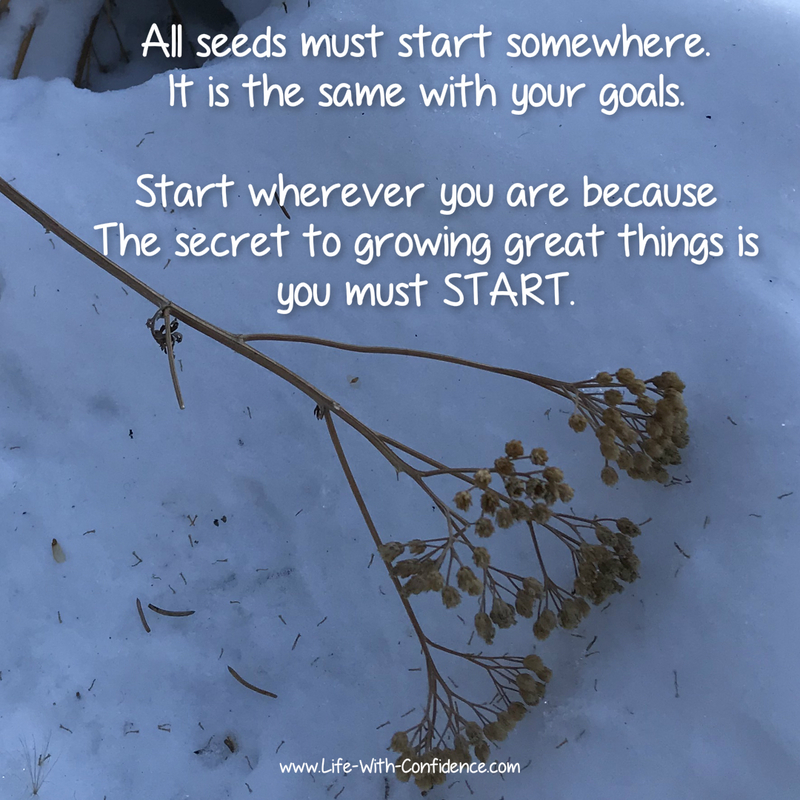 If you're like me then probably you've found that sure, at the beginning, it's exciting to have a new goal to work towards and when you first start, you're full of energy and have no problem spending time working towards it. You're excited about how your life is going to change for the better and are willing to do whatever it takes to succeed. But then, something happens, maybe you're more tired one day or you're not feeling well or you need to skip a day to work on something else. Whatever it is, it throws off your momentum and then you find that within a few weeks all that motivation is now gone and you're not getting anywhere with your goal. For some reason, I find I lose interest in the goal or I end up feeling guilty that I'm not spending time on it. I want to work on it but there's a resistance for some reason. Whatever the reason, all I know is that I'm not making any forward progress. I've slipped back to exactly where I started. It’s so frustrating. So, what's the real solution to goal setting? he says the reason why you fail with your goal setting is because you need to change your identity first. Yes, your identity. Guermellin states that the reason you self-sabotage yourself and lose motivation is because your brain still sees yourself as someone who isn’t the person you’re trying to become. 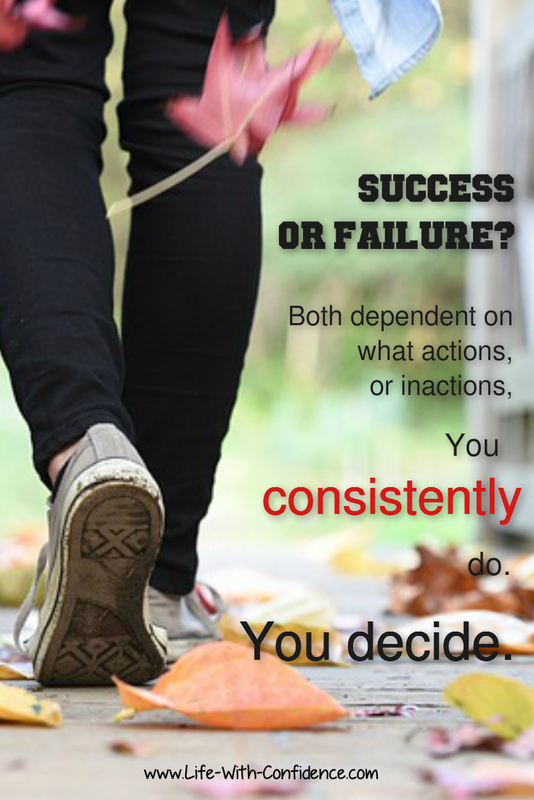 An example is someone who starts an exercise program. They want to become a fit, athletic person. So, they sign up for a gym membership and are able to do it for a few weeks. After that, they then drift back to being the way they were before. Guermellin says this happens because the person still sees themselves as someone who doesn’t exercise so that’s the strongest draw for the person. Their brain wants to do the actions and activities of the person they see themselves as and identify with. So, if they see themselves as a non fit person, that's how they're going to behave. Also, “It is easy for the brain to make plans to benefit the future self, but it will most likely choose the path of less resistance, or the choice which provides instant gratification, when the time comes to make a decision.” So, it’s easier to eat the candy now and think you’ll work it off later especially if that action matches how you currently view yourself. His suggestion to overcome this disconnect with your identity is a three part process. First, you need to decide on the person you want to become and commit to this vision of your future self. This is the new identity you wish to become. For example, you want to see yourself as a healthy and fit person. 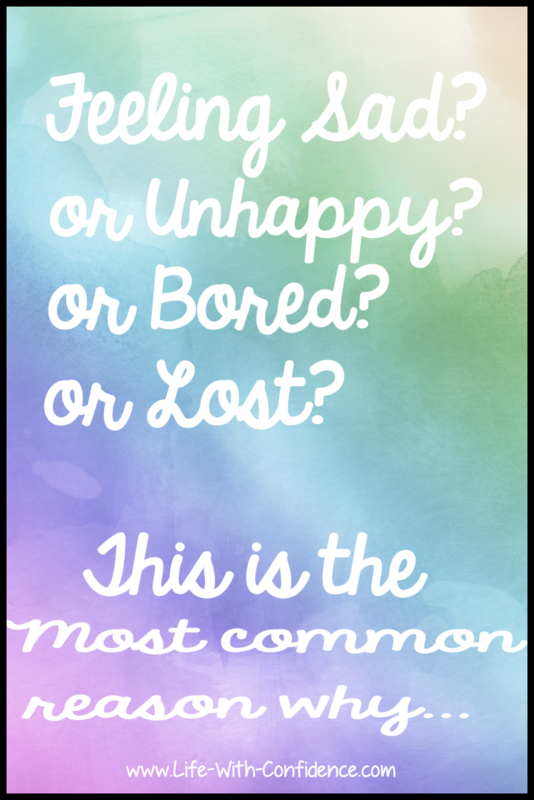 You also need to be clear in your mind as to why you want to become this person. What's the purpose? The second part is to set up a system or process for achieving this goal. When you set this up, it's important that you start with really small steps that are easy for you to accomplish. For example, maybe you'll decide that you're going to exercise for ten minutes a week. Yes, start as small as this. Make it easy to be successful with it. The third part is to remain focused on the system and keep increasing the amount of work you do each week by 1%. Don't focus on the end goal, losing ten pounds, focus on the process, exercising ten minutes per week. This third part is such an important part to understand because this is where your identity changes. Usually when you set a goal, you focus on what you want to achieve. You want to lose weight for example. But if you focus on the end goal then you're far more likely to get overwhelmed, or get frustrated, or give up completely when you don't achieve that goal in the time frame that you expect. If you turn this around and focus on your system then you'll be able to see that you are making progress. This means that the brain sees evidence that you are doing the activities that a fit and healthy person would do. With each week that you successfully complete something towards your goal, the more your brain adjusts to seeing yourself as the new you. You're also able to make corrections and adjustments to your system faster and sooner than you would if you were only focusing on the end results. Perhaps you need to increase your exercise or perhaps you need to take your own lunch to work instead of eating out. Or maybe you need a strategy to avoid the Friday donuts that someone always brings in. You'll find it's less stressful this way and also once your identity changes, it's far easier to keep going with the process because you're becoming the new person you want to be and you'll naturally start doing those new activities without having to force yourself. Instead of being a wannabe fit person, you are a fit person. The answer to being able to accomplish your goals is to first envision the person you want to become and then successfully complete tasks you've set up for the new you and also by focusing on the system to enable continuous progress. How Does Your Identity Change? So, to recap for a minute here. You decide on the new identity you want and then you set up a system where you start small and take consistent actions towards your goal. Whenever you take some action towards your goal, think of that as a "win". You do an action, that’s a win. You complete another action, that’s another win. Your brain now has evidence that yes, you are a person who does that activity. Your brain changes your identity to be of that person you’re trying to become. So, if you're wanting to become a fit person and you're doing activities that a fit person would do, then your brain will begin to see yourself as a fit person. And, as you continue with the constant progress, it becomes more and more ingrained as your identity. So, let’s take a closer look at how to do this. In the book, he suggests that on Sunday evenings you take some time and think about what you want to work on during the week. This way, when you're ready to do some work you already know what you need to do. You're not wasting time thinking about what you could do or floundering with the thought of not knowing where to start. You're ready to go and you're clear in your mind what needs to be done during the week. There's two different ways you could start with setting up your system. The first is that you plan a day and a time when you're going to work on your goal during the week. Put it in your calendar. Also, make the decision that this is a priority for you. If life comes along, and it will, to prevent you from doing the activity, reschedule it as soon as possible. Don’t beat yourself up for missing it and don’t tell yourself you’ll do it “later” because later never comes. Simply schedule it again. Try to make it as soon as possible. Also, see this as an opportunity for potentially making an adjustment to your process. Maybe you need to do your task at a different time in the day or have a strategy already in place to deal with things like when people demand your time. Remember it’s the system or process for achieving your goal that’s the most important. When you feel comfortable completing the tasks you’ve scheduled for your week, try to increase your action by at least 1% each week. This doesn’t sound like much but it rapidly increases. If you don’t like to schedule yourself, then track how much time you’re working towards your goal during the week. You could make a mark on your calendar each day you do work and then try to make a non stop chain of marks on your calendar. The longer you go, the more you’ll be motivated to not break your chain. Or you could create an accomplishments log where you simply keep track of all the activities you've done towards your goal. The point is to have something visual to track and record your weekly progress. It will allow your brain to see the work you’re putting in and change to that new identity you want. Often when we're first working towards a goal, it's frustrating because we can't see any change in the beginning. By tracking your work, you're able to see progress. What would a pro do? Asking this question works great when you're considering skipping your weekly tasks because as soon as you ask, “What would a pro do?” you realize a pro wouldn’t bail on doing the work. They’d be dedicated to their process and they would also learn to see the mundane, boring parts of it as a challenge. Basically, a pro shows up and does the work. If your goal is important to you, you’ll be a pro about it. The good part too is that once you change your identity and treat it as a priority, you’ll find that you naturally start to do more and more of those activities. You'll be pulled towards doing it and it won’t be a matter of having to force yourself to do it. It will become part of your routine. You prove to yourself that you're capable of being this new person you want to be by consistently completing the tasks you’ve scheduled for your week. This is why it's important that you start small and get those wins under your belt. So, don't be hard on yourself and discount any work you've done by thinking it's not enough or not good enough or that it's going to take you too long at this rate. The point is to see a win which will motivate yourself to do more and also to start the identity change. Any progress is good progress. Is there other information you need to gather that will help you with your process? What activities do you need to do next week? If you tell yourself you’re going to exercise an hour a day, you’re setting yourself up for failure. Start small and increase when you feel comfortable with the activities you’re already doing. Remember to start real small. For example, maybe plan on spending ten minutes a week at first on your goal. By being able to do this, it’s an easy win and will help to motivate you to keep going with it. By planning a too large of a goal at first will only lead you to be overwhelmed by it and you’ll avoid doing it. Don’t compare yourself to people who are already experts at what they do but do look for examples of people who have already accomplished what you want to do and get clues about their process. How did they start out? Find online articles or books or people who can give you more information on how best to achieve your goal. Stay focused on the process and following your system. Plan your week in advance and reflect at the end of the week as to what adjustments you need to make. If you’re still struggling to get started, Guermellin suggests using a Got 2-minute technique. What you do is think of the actions you would take in the first two minutes of the task and then complete those items. This is often enough to get you past that hurdle of getting started. I like Guermellin's ideas. This sounds like an approach that could make a huge difference in being able to achieve a goal. 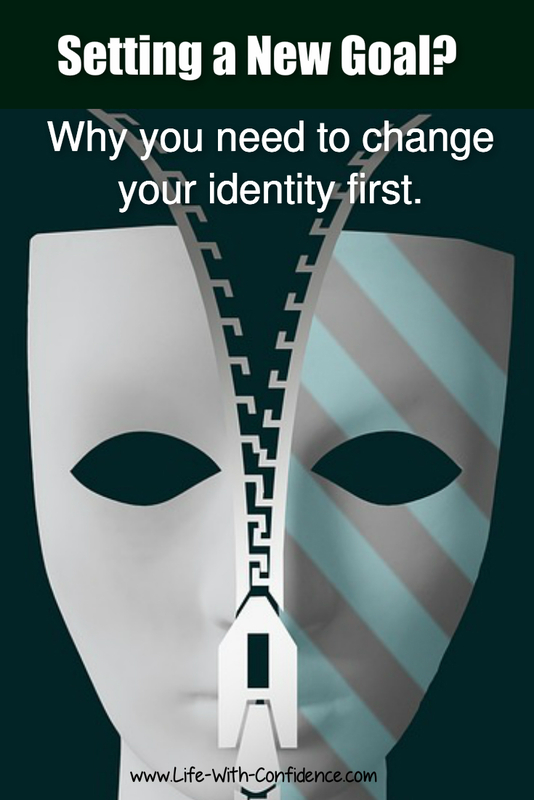 Understanding that changing one's identity first is really helpful and means less frustration and disappointment. Also, focusing on the process rather than the end goal makes a lot of sense. His process also comes across as doable and less frustrating than other methods I've read on how to approach goals. It's definitely worth a try. I've been finding that for myself, this has already made a big difference for me. I'm being far more productive now and that feels fantastic and very fulfilling. I'm excited to see where it'll lead. There's lots more ideas and tips in Guermellin's book about this and he also focuses on discovering your life purpose. And as he says, "What do you have to gain? Everything! You can break free from your self-imposed prison and finally take the steps to live among others who are happy, excited, fulfilled, and living the life you have always imagined." 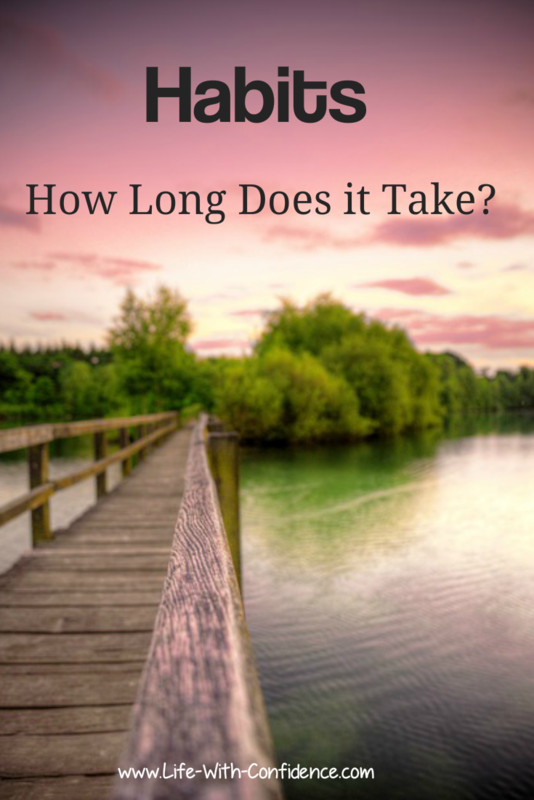 How long does it really take to create a new habit or to quit an old habit? 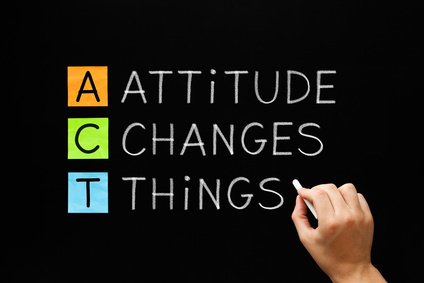 ACT stands for Attitude Changes Things and it's your attitude which will determine if you're successful or not. You may not realize how your own attitude is getting in your way. Check and see if this is an issue for you. 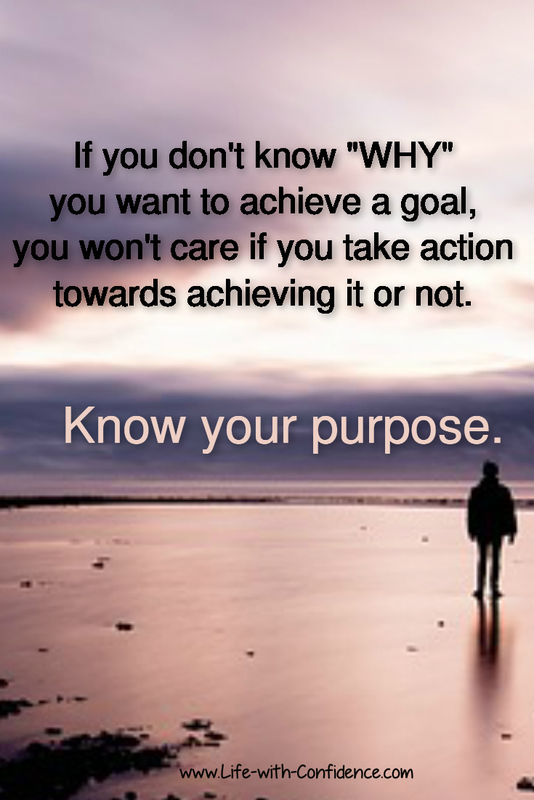 Why you need a purpose.